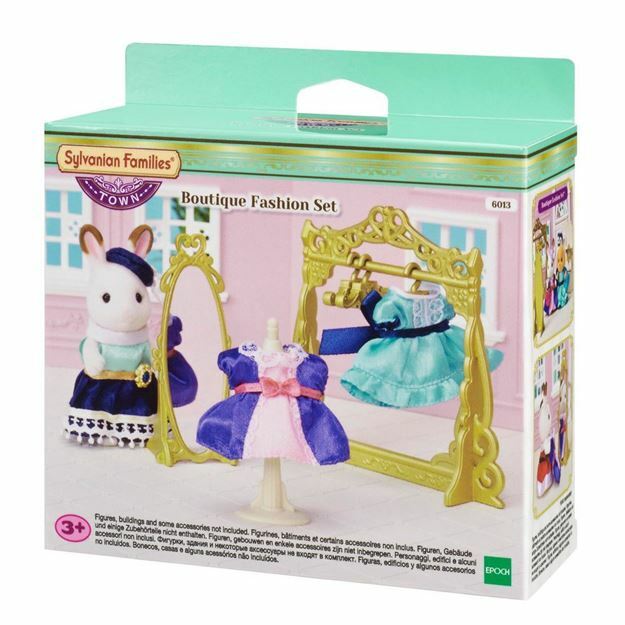 Enjoy dressing your Sylvanian’s up in the latest fashions with this Sylvanian Families Boutique Fashion Set. Perfect to place inside the Grand Department Store (sold separately). Includes: a gorgeous golden dressing unit, 2 beautiful satin dresses for child-size figures and accessories. Furniture & figures not included. Part of the Sylvanian Families Town Collection. Age 3+ years. Distributed in New Zealand by Holdson.